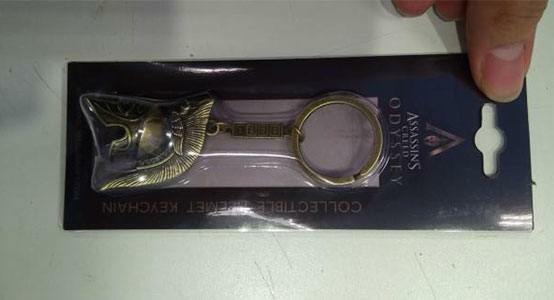 Next Assassins Creed leaked by a keychain? The next installment of Assassins Creed is seemingly going to take place in Greece and will be called Odyssey. That is if a keychain can be trusted. According to the French media outlet JeuxVideoLive, a reputable leaker by the name of ArcticBlue sent them the picture of the keychain shown above. 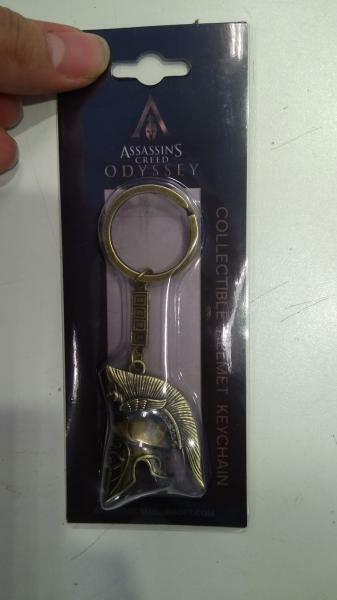 The leaked picture shows the name Assassins Creed Odyssey with a Spartan-shaped helmet in the logo, as well as a Spartan-like helmet keychain. If you look really close, you can also see the assassinscreed.ubisoft.com URL printed on the bottom of the packaging. At this stage, assuming the leak is accurate, it’s safe to assume that Assassins Creed Odyssey is going to take place in or around Greece. Regarding a projected released date, Kotaku’s Jason Schrier mentioned that his sources have already confirmed a release before the end of Ubi’s 2019 fiscal year. Jason mentioned his “sources confirmed that Odyssey will be out during Ubisoft’s 2019 fiscal year, which ends on March 31, 2019.” However, at this stage it’s still unofficial information and the set date as well as Odyssey being a sequel has not been confirmed. Chances are there will be a presentation during this year’s E3, or at the very least some more info is sure to be unveiled. Right now there’s not much else known about Assassins Creed Odyssey. There’s no official release date, or any official information for that matter. The only thing we’ve seen so far are a couple of pictures of a keychain and its branded packaging.